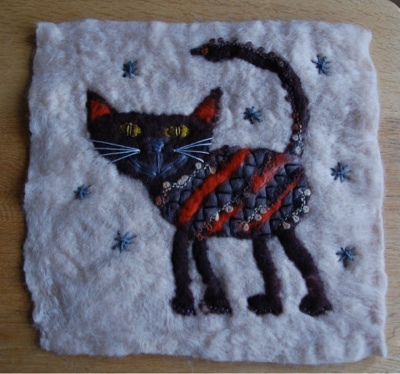 Thursday evening was our second night trying out the felting course at Worcester Arts Workshop. This time we made several pieces of felt in preparation for use on a larger design. Of course I'd already had a cat in mind! 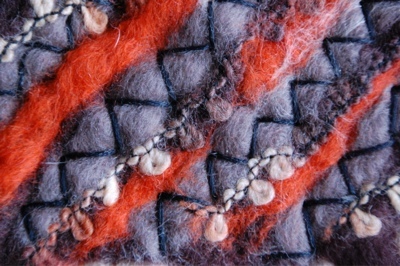 Adding some textured wool created more details. When the felt was dry I added some simple stitched to embellish further. Wonder what we will do next time?